Braided Lattice is insanely time-consuming. When my daughter walked by the kitchen and asked me "hey, are you making that pie for someone?" 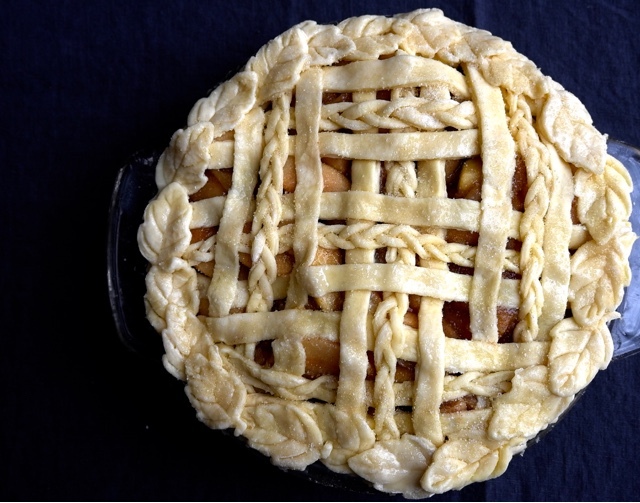 I was attempting to weave the braided lattice pie dough that was akin to wrangling cooked spaghettini. The delicate strands would stretch each time I moved them. I was not feeling the pie love. I replied "no, it's for you guys"
"Yay! I can't wait! it doesn't matter what it looks like mommy...it'll taste great! I can't wait!" Out of the mouth of my babe. I stopped trying to weave the triplicate braid & lattice combinations. Cold cubed butter! 2 sticks! I think I was too ambitious. I even planned to do the Sous-Vide method for pre-cooking the apple pie filling. What the heck was I thinking? Almost immediately into making the crust I nixed the sous-vide idea and decided to just do it on the stovetop. It was wise as the actual sous vide part would add another hour to the prep time. The huge chunks of squashed butter are very visible here. 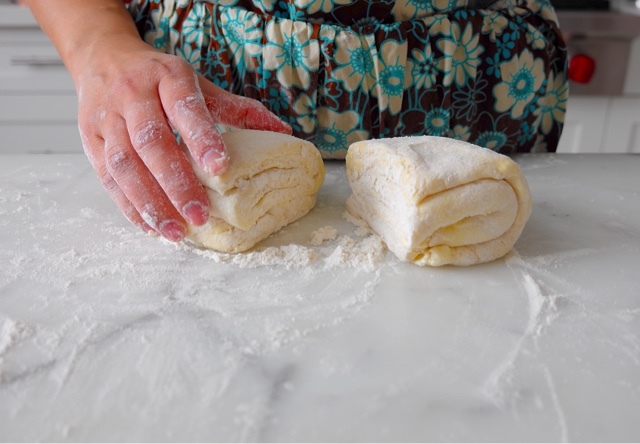 Roll out the dough with plenty of flour. Cut in half and wrap in plastic wrap. Pop it in the fridge! The dough is quite strong and stretchy...quite promising for lattice-work! The pre-cooked apples I used consisted of granny smith and gala. After I realized my kids don't care about the weaving, I just gave up and popped that pie in the oven so we could get it in our pie-holes sooner! Though I saved plenty of time forgoing the weaving...and I didn't do the sous-vide part, we still had to wait 4 hours for the pie to cool before cutting into it. 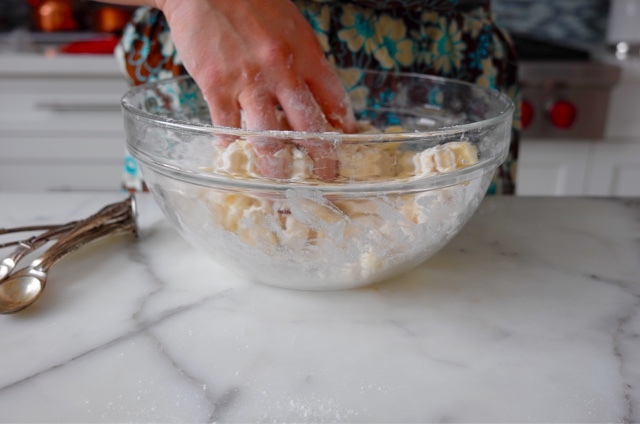 For the Dough: Whisk flour, sugar, and salt together in a medium bowl. 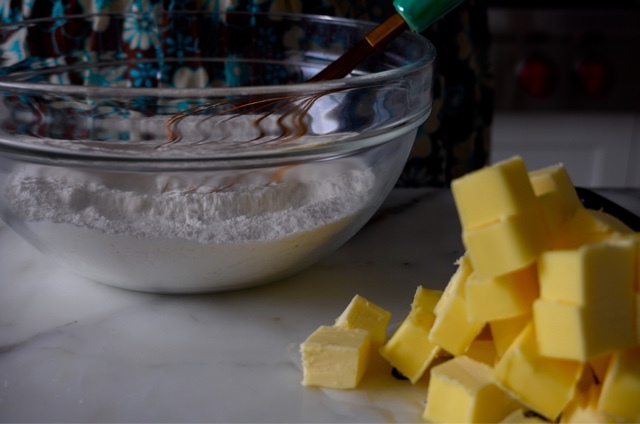 Cut butter into 1/2-inch cubes (this size is important, as smaller pieces will melt too fast) and toss with flour mixture to break up the pieces. With your fingertips, smash each cube flat—that's it! No rubbing or cutting. Stir in water, then knead dough against the sides of the bowl until it comes together in a shaggy ball. 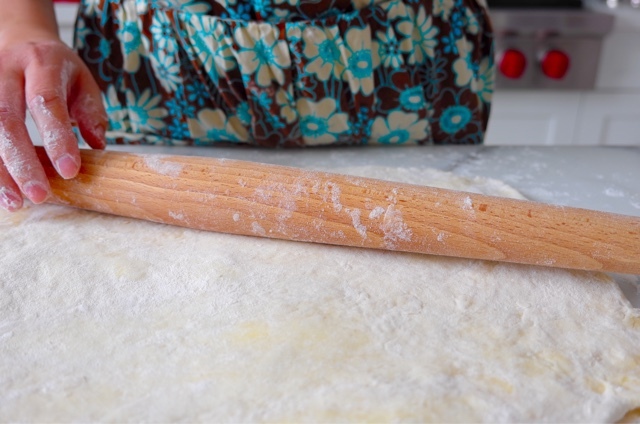 Dough temperature should register between 65 and 70°F (18 and 21°C); if not, refrigerate briefly before rolling and folding (see note above). 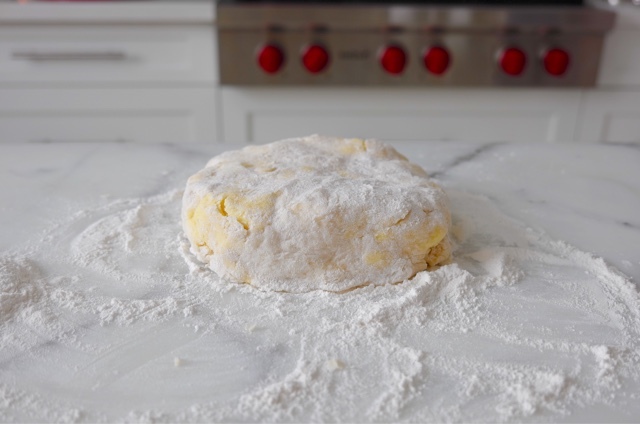 For a Double-Crusted Pie: Using as much flour as needed, roll one piece into a 14-inch circle and drape across a 9-inch pie plate; it will be super easy to lift by hand. 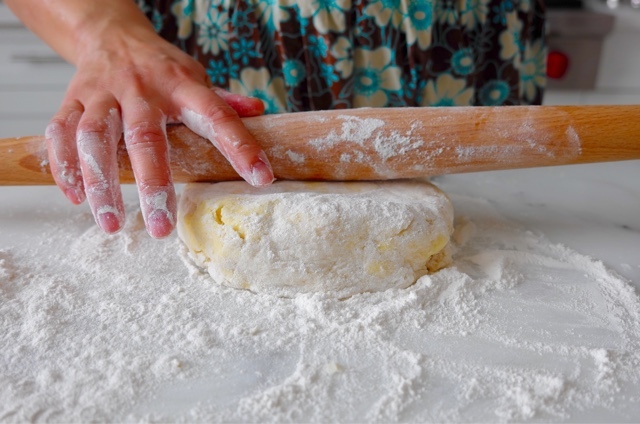 Dust off excess flour with a pastry brush, using it to nestle dough into the very corners of the pan. With scissors or kitchen shears, trim the edge so that it overhangs by 1 inch all around. 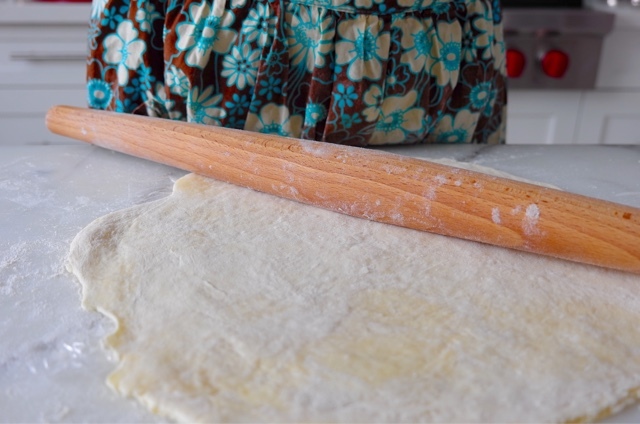 For a solid top crust, roll remaining dough as before, or roll into a 9- by 15-inch rectangle for a lattice-top pie. 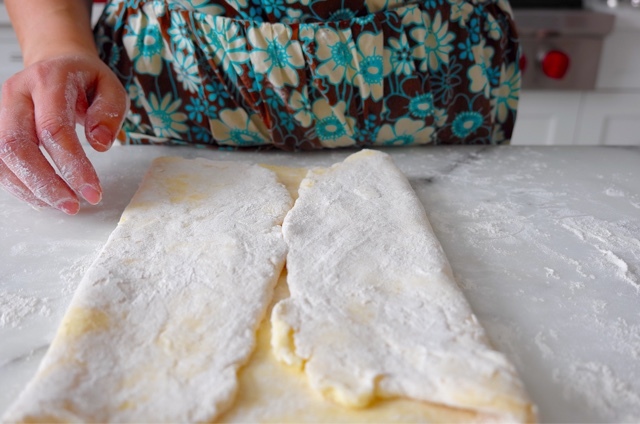 Transfer the entire sheet, uncut, to a baking sheet or parchment-lined cutting board. (The parchment will prevent dough from absorbing any savory odors from the board.) Wrap both portions in plastic and refrigerate at least 2 hours and up to overnight. To Cook Filling on the Stovetop: Transfer apples and their juices to a large Dutch oven. Heat over low heat, stirring constantly, until lightly steaming. Cover and continue cooking over lowest heat setting, stirring frequently, using a thermometer to maintain temperature below 160°F (71°C). Do not allow liquid to come to a boil for first 20 minutes. After 20 minutes, increase heat to medium-high and cook, stirring frequently, until juices thicken enough that a spatula dragged through the bottom of the pot leaves a trail that very slowly closes back up, about 10 minutes more. 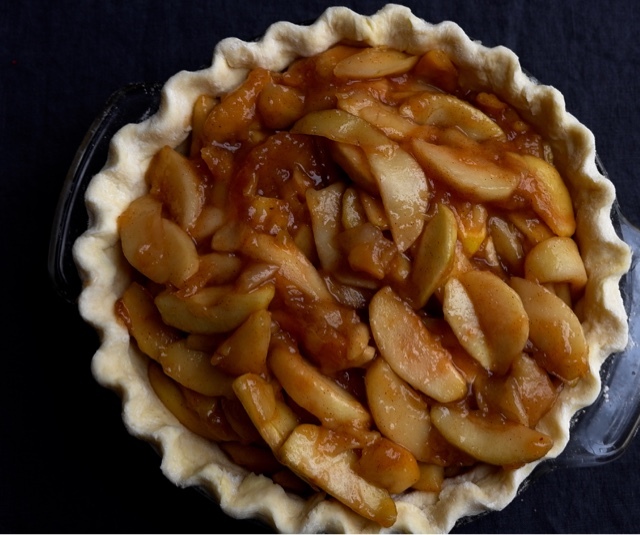 Transfer apples to a rimmed baking sheet, spread out into a single layer, and allow to cool completely, about 1 hour. 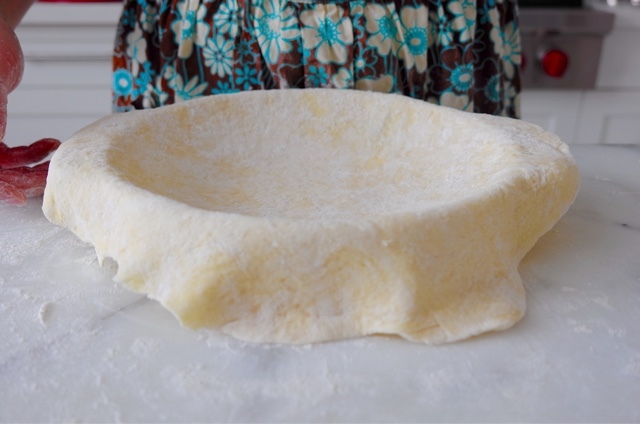 Roll 1 disk of pie dough into a circle roughly 12 inches in diameter. Transfer to a 9-inch pie plate. Add filling, piling it into the pie shell until it all fits. Roll remaining disk of pie dough into a rectangle, approximately 10" x 15". 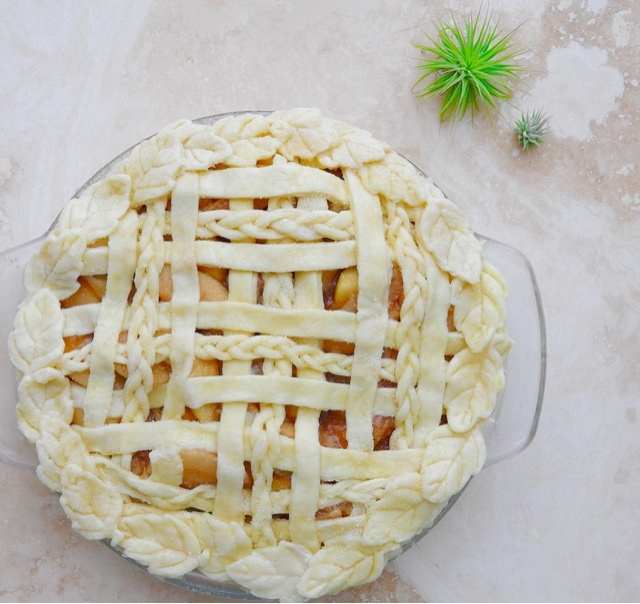 Cut dough into strips and weave in a lattice pattern on top of pie. Using a pair of kitchen shears, trim edges of both pie crusts until they overhang the edge of the pie plate by 1/2 inch all the way around. Fold edges of both pie crusts down together, tucking them in between the bottom crust and the pie plate and working your way all the way around the pie plate until everything is well tucked. Use the forefinger on your left hand and the thumb and forefinger on your right hand to crimp the edges. Use a pastry brush to brush an even coat of lightly beaten egg white all over the top surface of the pie. 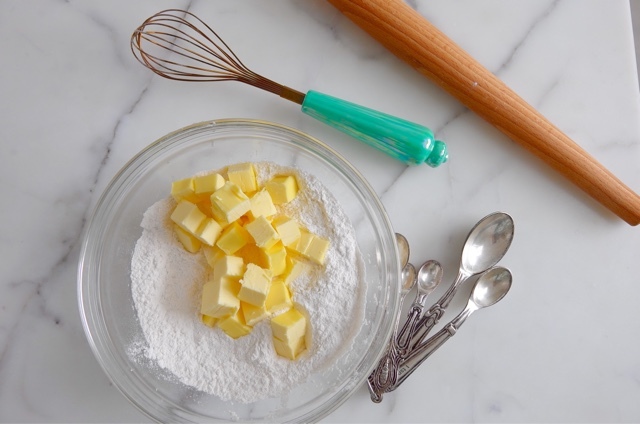 Sprinkle evenly with 1 tablespoon (15g) of sugar. Transfer pie to baking sheet in oven and bake until light golden brown, about 20 minutes. Reduce heat to 375°F (190°C) and continue baking until deep golden brown, about 25 minutes longer. [NB: I had to add a full 15 minutes of baking time to ensure a golden pie crust.] Remove from oven and allow to cool at room temperature for at least 4 hours before serving. sometimes LESS is MORE - yes it does look pretty - but "ain't nobody got time for all that" - love your blog! !